In the darkness there is rustling sound. Feathers perhaps? Wings? Then I hear a heart beat, a heel scraping on the floor. I have my hands inside the black Steinway, my fingers and nails scraping the metal strings. 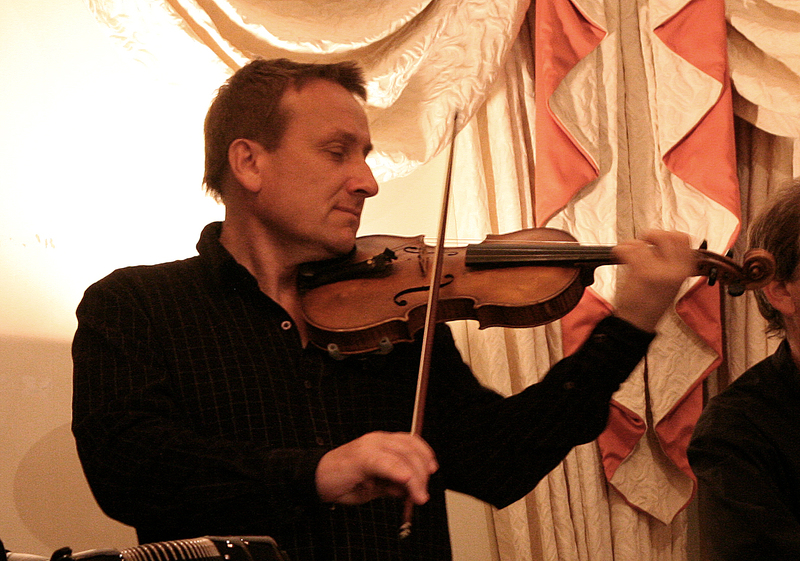 Behind me, Stanislav is tapping a steady rhythm against the buttons of his bandoneon. 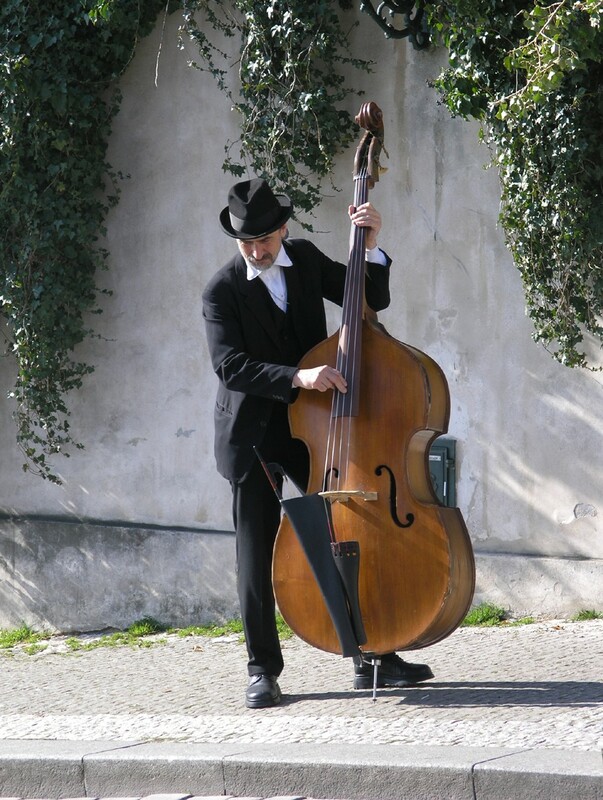 The Double bass unobtrusively takes over the heart-beat rhythm. I pull my hands out of the piano and sit down. I reach for the first exposed notes. Bare. Glassy. Transparent. With each note the scene starts coming into focus. With the minimum movement, and hardly any notes, we have painted a dance floor, set the lighting, perfected the colour scheme. Then out of the darkness the bandoneon starts to sing. 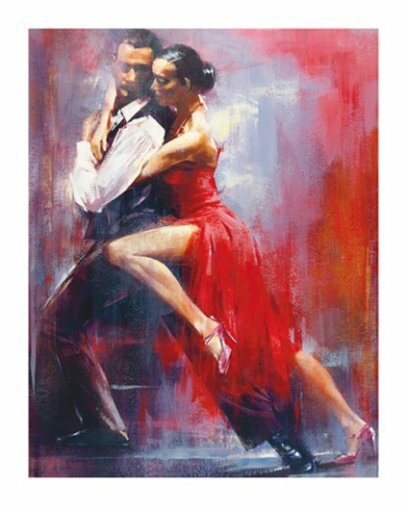 And with that sound – the collective memory of the soul of Argentina – Piazzolla’s Angel begins to dance her Milonga. 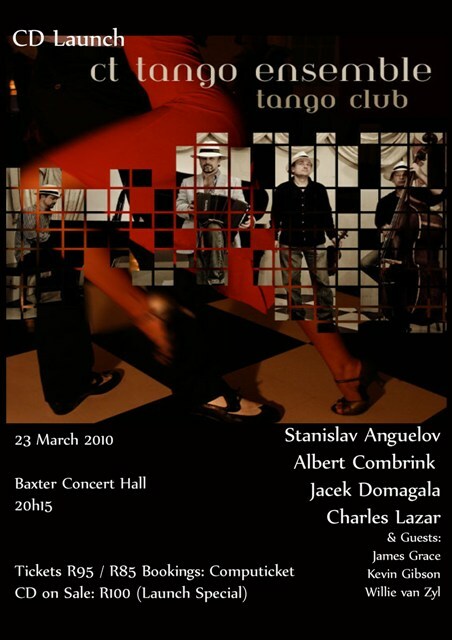 Milonga del Angel (Dance of the Angel) was one of the first Piazzolla tangos the Cape Town Tango Ensemble performed and we have been playing this work for almost a decade. We have played it in many shows and concerts and have decided that the time is right to record it on our latest CD – Tango Club. iv) La Resurreccion Del Angel (The Resurrection of the Angel). The works were not all composed together. For Alberto Rodriguez Muñoz’s 1962 stage play Tango del Angel, in which an angel heals the spirits of the residents of a shabby Buenos Aires neighbourhood, Piazzolla added new pieces to an earlier tango that gave the play its name. Munoz required a narrative suite that encompassed a story of innocence, deceit, violence and death, and reconciliation. 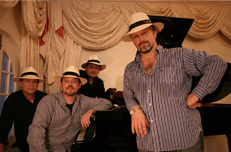 Angels form a strong motif in the works of Astor Piazzolla, Argentinean maestro of the Tango Nuevo. In Astor Piazzolla: A Memoir Natalia Gorin quotes Piazzolla: “I have to tell the most absolute truth. I could make it a story about angels, but that would not be the whole story. 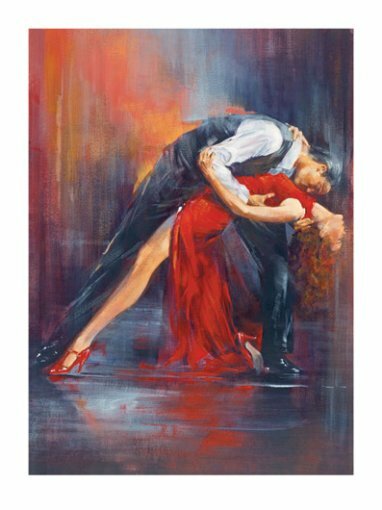 Mine is of devils mixed with angels.” Milonga del Angel sums up much of the change that Piazzolla brought about in Tango music. 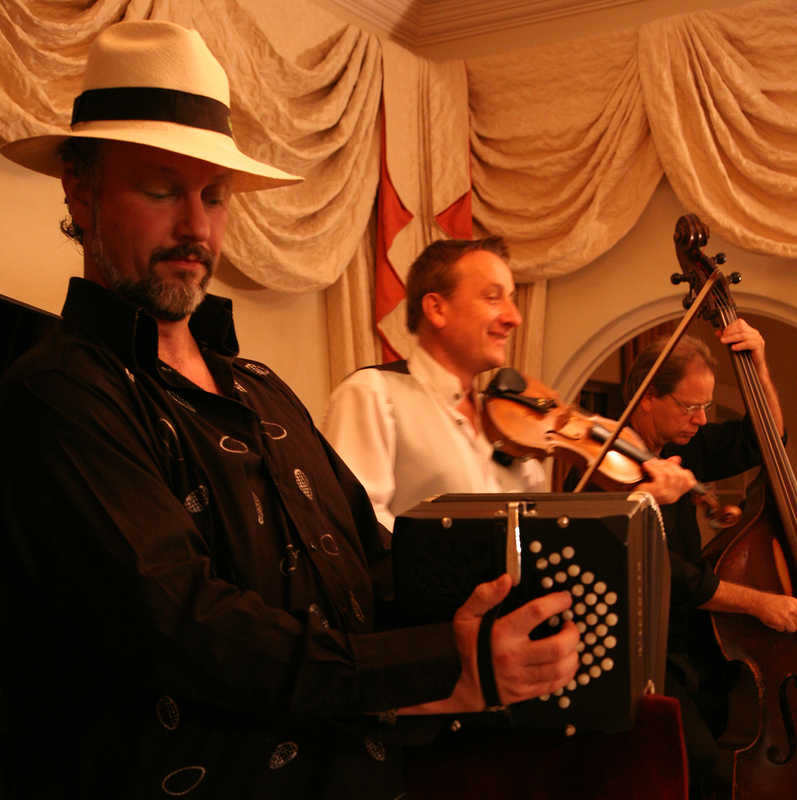 In our concerts, the Cape Town Tango Ensemble often play a “traditional” milonga form the early part of the century and juxtapose it with our beloved angel. Based on the candombe rhythm – itself reflecting the Habanera – Piazzolla turns away from the structures of the popular dance tangos. There are no simple AB or ABA structures, no choruses that return and no varied repeats. The work flows in a continuous sweep. 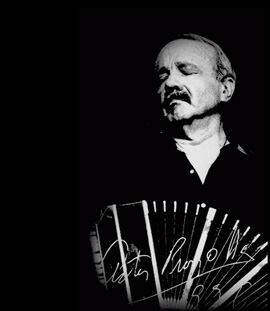 An intense tone-poem, the work shows many of Piazzolla’s strongest trademark gestures. Repeated pedal notes that stay the same while the harmonies change overhead, create delicious tensions and exquisitely tender resolutions. A casual and fluent approach to chromatic shifts conjure seductive textures. The Piazzolla influenced by modern 20th century composers such as Stravinsky and Bartok is also to be felt, especially in the final build up of the work. Exquisite dissonances and powerful harmonic movements make the resolution of this tango one of Piazzolla’s most poignant. 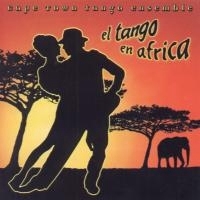 The Cape Town Tango Ensemble recording of Milonga del Angel uses Piazzolla’s own arrangement for Quintet as a starting point. 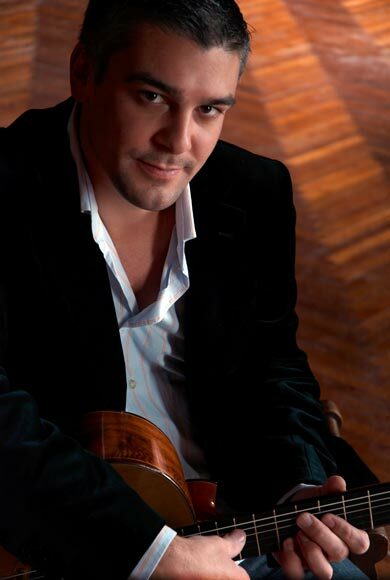 Piano, Bandoneon, Guitar, Violin and Double Bass work together to create an orchestra of tremendous variety. We have performed this work in various permutations, from Duet for Piano and Bandoneon or Accordion only, to a sextet adding a second violin and guitar. With each different configuration, my experience of playing this work is different. When performing without a Double Bass, the responsibility for the rhythmic drive lies strongly with myself, the pianist. The deep bass notes provide the basic rhythm of the milonga throughout – the heartbeat of the angel. When I have to play the bass, of physical necessity I can focus less on the melodic material. Often, while the violin and bandoneon are soaring in the heavens with the angels, – while I keep the “engine” going in the bass – I feel more than a twinge of jealousy. Which musician with a heart would not be touched by that exquisite melody? At the same time, the responsibility for the bass part gives me a very different experience of the work: I understand the structure better, experience the harmonies very directly. I feel the harmonic rhythm and how it is so closely linked to the pulse. The rhythm is so primal, that occasionally it is enough to propel the structure of the music forward, by itself, uncluttered by ornamental melodies. 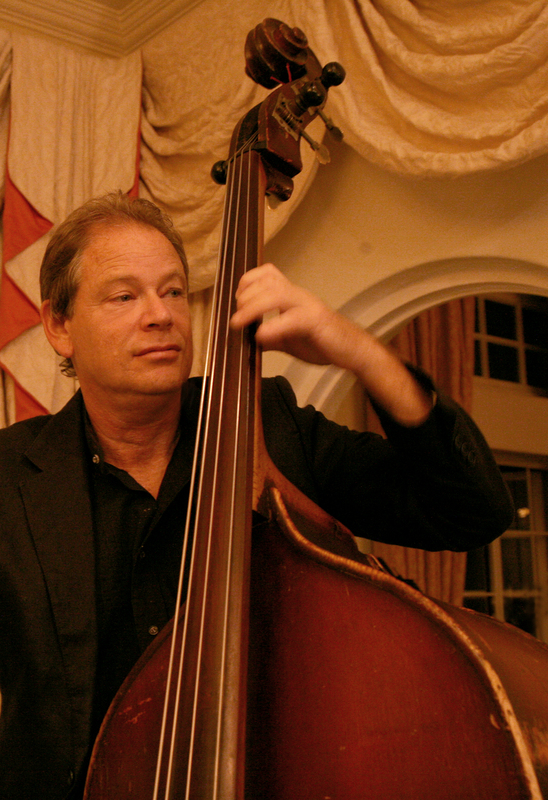 At other times, when the Bass is taken care of by an actual Double Bass player, I am taken aback by how transparent the sound of the bass notes can be, as compared to playing it on the piano. Ironically, by adding another instrument the texture becomes thinner, and if anything the overall volume even becomes less, as one spends more time listening than playing. My approach as the pianist is to add what is needed only when it is needed. When instruments are “absent”, the piano has to take on a structural function, filling in the rhythm, making sure no melodic bits go missing. But in a larger ensemble, I sit back and listen. Only then can I create something that adds to what is there already. 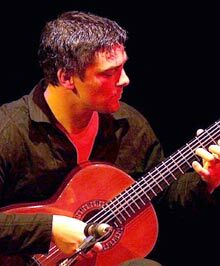 For the recording of this track on Tango Club, we invited guitarist James Grace to fill out the Quintet for which Piazzolla had originally composed this work. 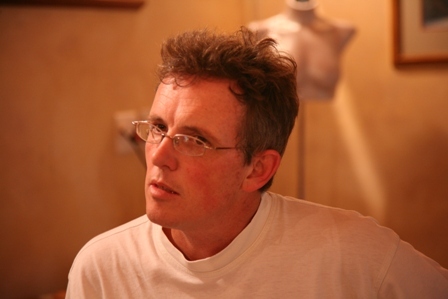 Mostly we perform concerts – and this work – without a guitarist. This “absent voice” frees me to make creative arrangements that combine the melodic material of both the guitar-part and the piano-part. Both instruments can create melody as well as chords. The piano wins out on power and being able to sustain sounds through that wonderfully convenient device called the “pedal”. 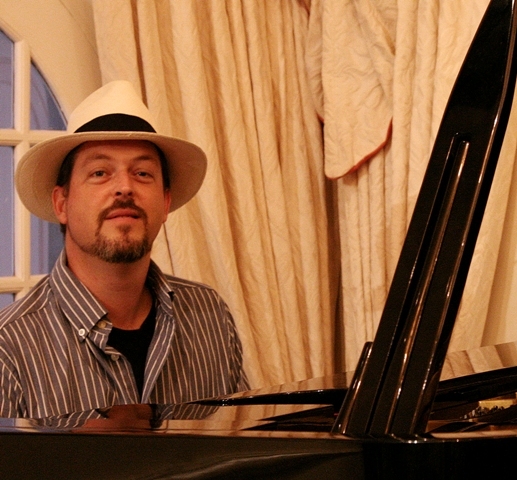 However, the guitar adds a unique quality that the piano can not. 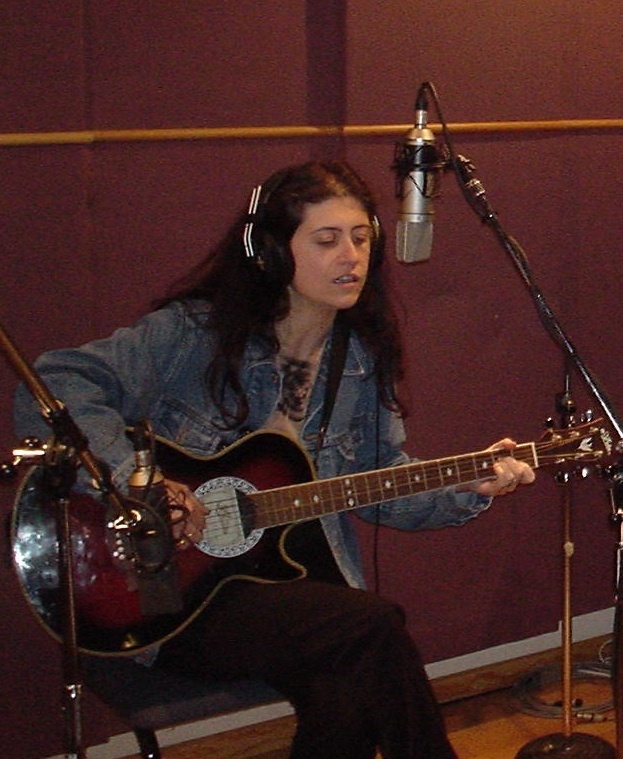 A plucked sound that clearly delineates the beginning of each note, is unique to instruments such as the guitar or the harp. The sound is translucent – simply because the instrument can not sustain the vibrations that long. This brings a new delicacy to Milonga del Angel, and to me, who has now been performing this work in various guises for almost a decade, it suddenly is brand new, fresh and created anew. I even feel a sense of “ownership” over some of the passages. At one point guitarist James had to play a modulation that I would usually have been taken by the piano. And he had the temerity to do it differently to the way I did it! Being my tactful self, I obviously informed him of the “correct” way to play it, and – dear man – he did it my way. well, as close as he could, given the rather obtuse or even inaccurate descriptions we musicians are forced to use in the world of conventional language. Almost “right” But not quite. 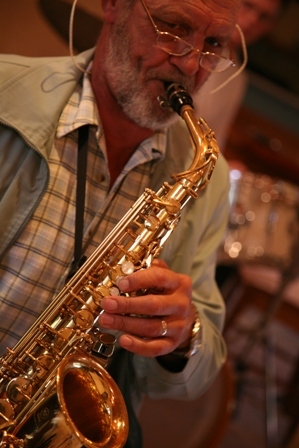 He is a wonderful musician with many years’ experience of different styles of music, and in the end, those influences reflected in how he played that three note change of harmony. It is not surprising at all that two mature performers would have a different response to the same chord, and two different interpretations. What is surprising though, is my sense of ownership of that bar! I however managed to relinquish control of those three notes, and for better or for worse, that is how they stand on the CD! Stanislav Anguelov used to perform this work on the accordeon – not the traditional instrement used in Argentina for the Tango. He is stylistically so acute that many Argentinians believe he plays on the bandoneon when in fact he plays the accordion. Yet, in his dedication to the Tango genre, he bought himself a bandoneon – “a devilish and crazy instrument”. He has taught himself this instrument that is notoriously hard to learn and perform on. He even flew to Buenos Aires for lessons. When the bandoneon starts the “Song of the Angel” after the brief moody introduction, the sound is unlike any other you can imagine. The bandoneon is like a voice. It can breathe, tremble, cry, and whisper. Certainly, the transition form performing it with the instrument of Stanislav’s primary virtuosity – the Accordion – to his secondary instrument – the Bandoneon – was difficult for the ensemble. We had to be more careful never to push the tempo. We had to be a little bit more deliberate about making certain transitions. But in the end, the struggle taught us more respect for each individual element that makes up this masterpiece. When a group knows a work this well, and have played together so often that we have even performed on stage BLINDFOLDED to demonstrate our levels of awareness, there is a danger of simply clocking in another play-through. We never want to simply replay well-rehearsed work we could play in our sleep. As a study exercise – and to sharpen our levels of “listening” with our souls – we swopped material around. The violin played the piano part, the bandoneon played the bass, and so on. It was as if for months we had been playing in a dimly lit room and someone had suddenly switched the spotlights on. Suddenly we were made intensely aware of what the other instruments CAN DO and what we CAN NOT do. 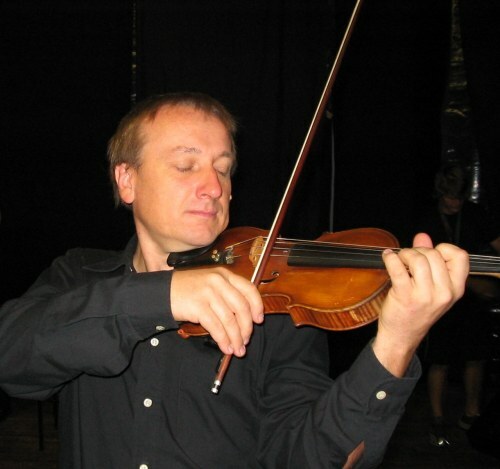 The piano can not vibrate or slide notes the way Jacek Domagala can on his violin. Charles Lazar on Bass can not growl with the same sharp bite that the accordion can. And the Bandoneon can not sustain long clouds of harmonies on which the other instruments can do their dance. We left that rehearsal session with a fresh love for the music and the contribution made by each member of the ensemble: each vibrato, each colour added to this ensemble, either by the particular qualities of the instrument, or the particular qualities of the soul of the person playing it. 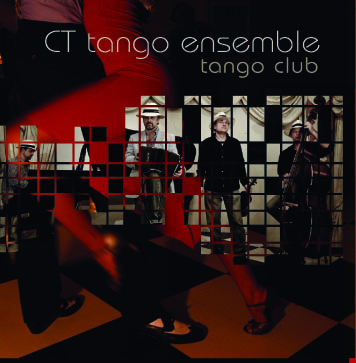 The CT Tango Ensemble also performs La Muerte del Angel on their new CD Tango Club. To read more about them, please follow the links below.